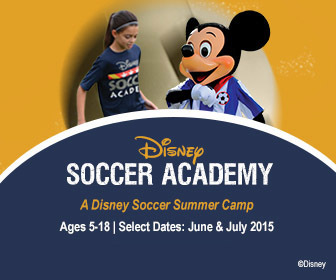 Midwest Soccer Academy is proud to be the exclusive operator and provide coaching expertise as part of the Disney Soccer Academy at ESPN Wide World of Sports Complex in Orlando, Florida. You will have the chance to be coached and trained by featured stars of the soccer world. Join us for the 4th annual 4-Day Instructional Camp at ESPN Wide World of Sports Complex. Previous stars of the soccer world have included, Aaron Hughes – Fulham FC, Paul Robinson – Blackburn Rovers FC, Ashley Williams – Swansea City FC and Craig Bellamy – Cardiff City FC.